Check out these famous 'shoe characters' from well-known movies! a little something to do with shoes! * Cinderella - This is a big one! 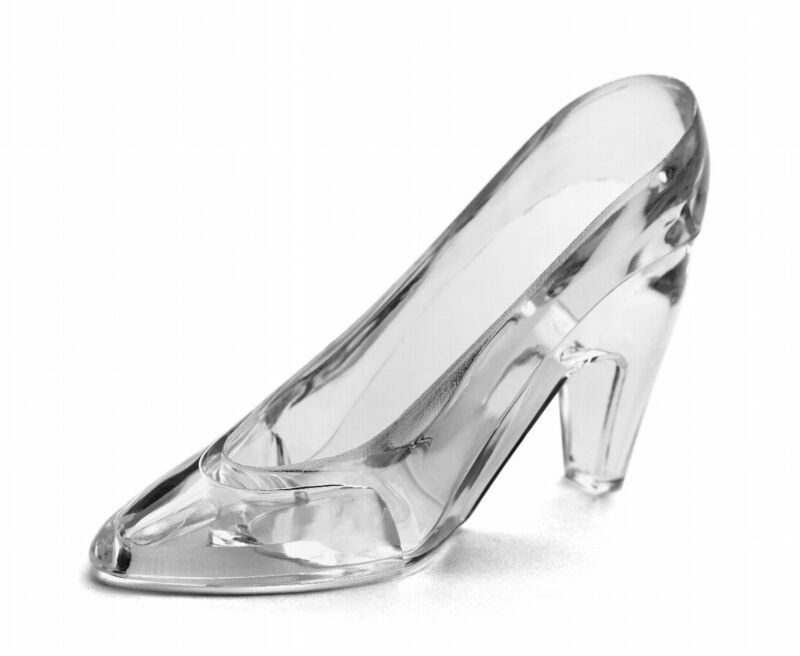 The fate of a girl tortured by her evil step-mother and step-sisters hung soley (no pun intended) on a pair of glass slippers! 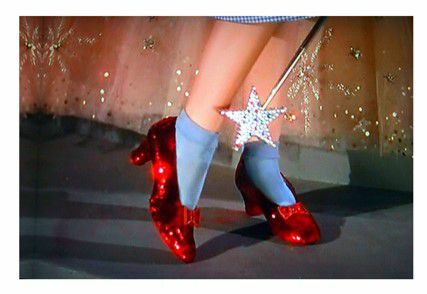 * Dorothy - In the classic movie, The Wizard of Oz, these famous shoes were responsible for getting this girl back to her home and family (and sepia). * Carl - remember that guy in Jumanji who gets fired after Alan (as a child) places his prototype new shoe on a conveyor belt and subsequently breaks a machine at the shoe factory? Another fate affected by a shoe! * George - George Banks from Father of the Bride (Steve Martin) works copes with his daughter (Annie's) impending wedding. 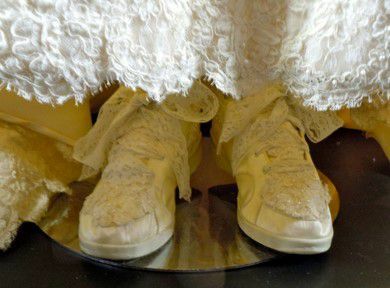 Recall the classic scene where she wears a pair of athletic shoes from her father's company when she walks down the isle? 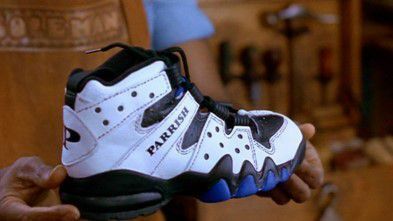 The picture below is shoes from the original movie, made in 1950. Add a comment to add to this list!